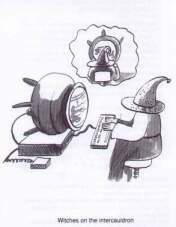 A cauldron is a traditional symbol of Witchcraft and the Witch. Many tie the traditional cauldron to the Celtic myth of the Cauldron of Cerridwen, symbol of death and re-birth. Irish folklore says the cauldron is where leprechauns keep their gold and treasure. At the end of a rainbow sits a huge cauldron overflowing with gold coins. If you can find the end of the rainbow, the treasure is all yours! Made for handling heat, use a cauldron for burning incense and herbs, mixing herbal brews and as a scrying bowl. Cook delicious food in your cauldron for traditional, over-the-fire cooking. The lids have a deep lip for holding hot coals providing top heat. Cauldron cooking is easy, healthy and economical. Care for your Cauldron well and it should last you a lifetime. CAULDRON COOKBOOK - Click Here! 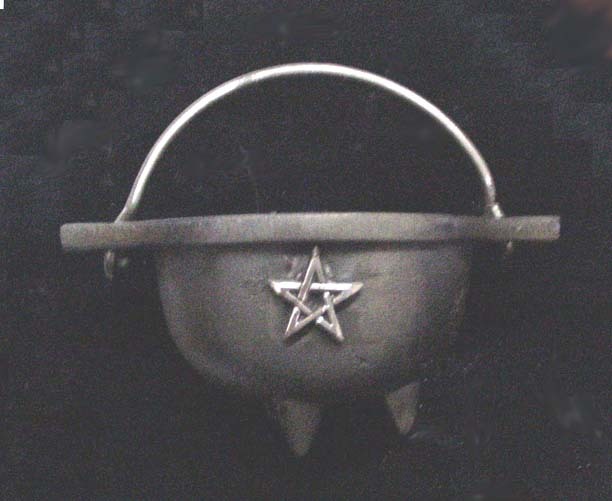 Our smaller sized cauldron features a 2cm dia Sterling Silver Pentagram with a touch of gold. Use this cauldron for burning incense, smudge sticks, herbs or small brews. It has a sturdy bail, 3 legs and the dia of the mouth is 7cm. The overall width is 11.5cm and height is 6cm. This cast iron cauldron weighs approx 530gms. A nice addition to your altar. 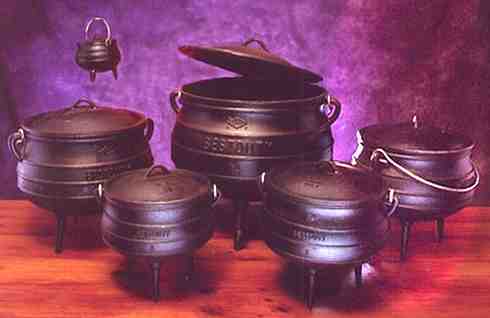 This cauldron is great for travellers and easy to carry. See chart for examples of some cauldron weights. 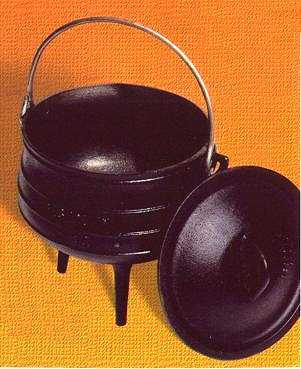 These superior quality classic cast iron cauldrons come complete with heavy gauge wire bails, black cast iron lids, handles and three legs in various sizes - subject to availability. 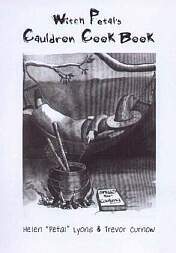 A MUST to go with your Cauldron - includes information about the history of the cauldron, how to cure and care for your cauldron plus lots of delicious recipes from soups to vegetables, lamb and seafood. Filled with humorous illustrations by Helen Lyons.